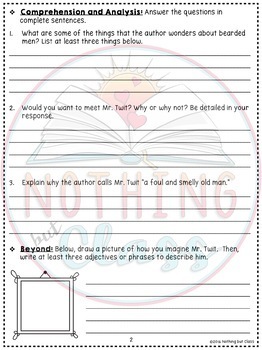 This 65 page student packet for The Twits, by Roald Dahl, contains comprehension and vocabulary work organized by chapter. The student work is organized by every 3-4 chapters, and is a mix of sequencing, multiple choice, fill-in-the-blank, short answer, vocabulary work, and creative activities. Questions have varying levels of rigor and are at all levels of Bloom's Taxonomy. You will find the layout easy to use, student-friendly, and predictable, while at the same time challenging and easy to adapt for all learners. Perfect for whole classes, small groups, or even individuals, this is a well-rounded, no-prep packet that will engage your students and sharpen their reading skills. *Each section covers 3-4 chapters of the book and contains the following 6 parts. -Quickwrite: Freewriting that warms up student brains before reading. 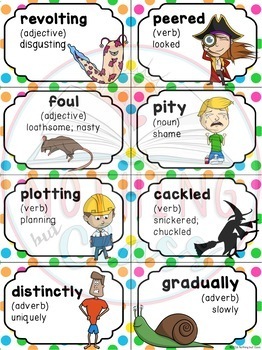 -Vocabulary: Activity based on context clues, synonyms, or antonyms using chosen challenge words. 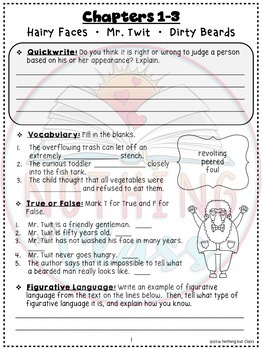 -1 set of True/False, Sequencing, or Fill-in-the-blank questions. -Standards Focus: an activity focused on Reading Literature standards. -Comprehension and Analysis: 3 short answer questions. -Beyond: Creative activity that might include art, brainstorming, or writing. 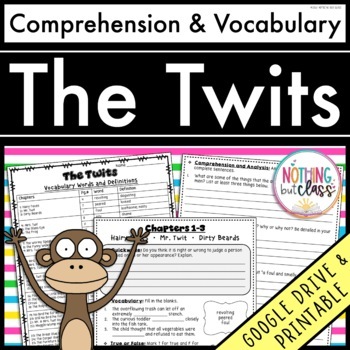 Please click here for my complete novel study for The Twits, which includes this product, Reading Response activities, assessments, and much more!